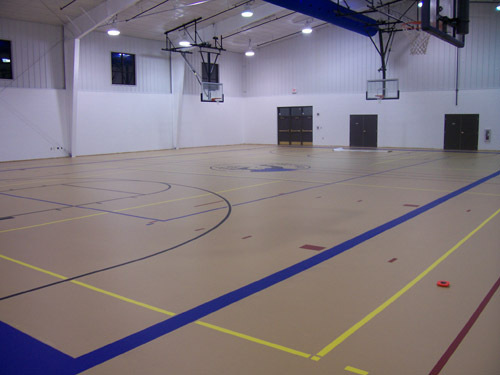 Durable Commercial Rubber Floor Systems for Medical Facilities & Schools are Hygienic for High-Traffic Areas & Infection Control. 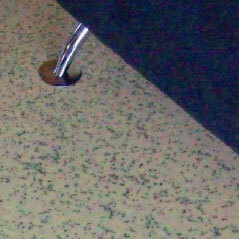 DynaDeco’s™ appealing Terrazzo look is ideal for schools, hospitals, businesses – anywhere a professional-looking, durable, hygienic multi-use floor is needed. With its advanced technology, DynaDeco™ is a beauty. This system offers an appealing Terrazzo look, available in a wide range of colors to compliment your décor, whether board room, school cafeteria, hallway, reception area, classroom, showroom, or healthcare facility. 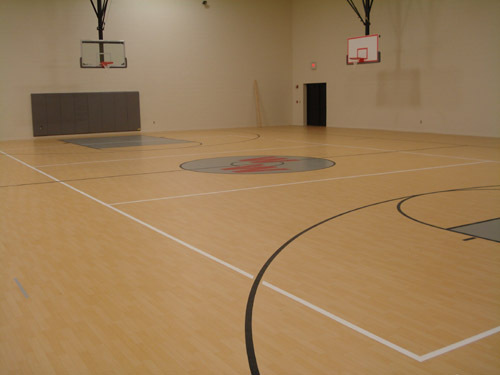 As with Dynamic Sports Construction’s other seamless – therein hygienic – polyurethane systems, DynaDeco™ is easy to clean, inexpensive to maintain. 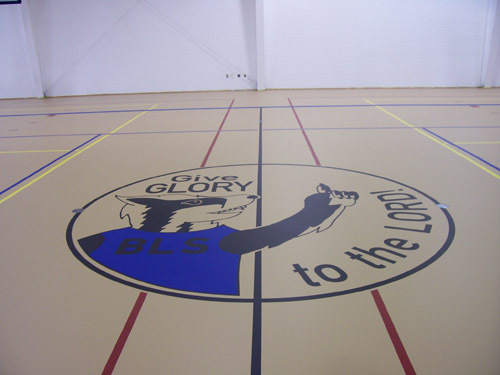 The system’s sophisticated blend of polyurethane and rubber aggregate delivers high performance and greater durability, and its special full-pour polyurethane surface will not separate or delaminate. 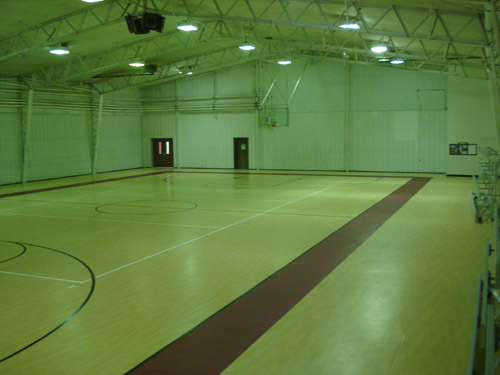 DynaDeco’s™ tensile strength ensures it can take on bleacher loads, banquet tables, weighty equipment and more. Made using rapidly renewable resources, ultra low VOC components and recycled materials, it’s an environment-friendly product, can be re-used/re-cycled and is eligible for LEED credits. Win-win-win! DynaDeco™ – professional, flexible, durable…and great to look at. 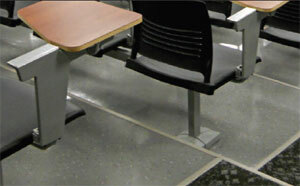 Can be customized with an antislip coating. or we can create the one you want. We can even personalize your system. The best attributes of seamless systems with various Terrazzo EPDM designs, DynaDeco™ addresses all your underfoot and aesthetic needs. DynaDeco™. Professional, Durable, Flexible and Absolutely Beautiful. 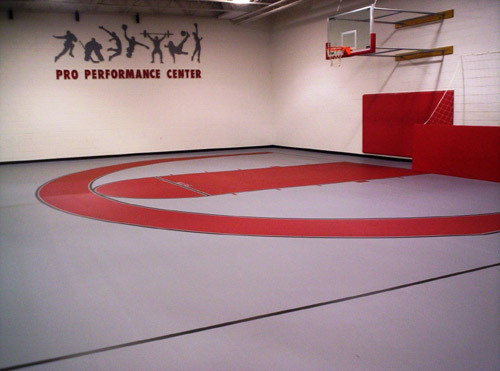 The ideal interior flooring solution.